A very good jacket for the price well made well designed and stylish, size chart works well too. What really drew me towards this jacket was the price (50%off). 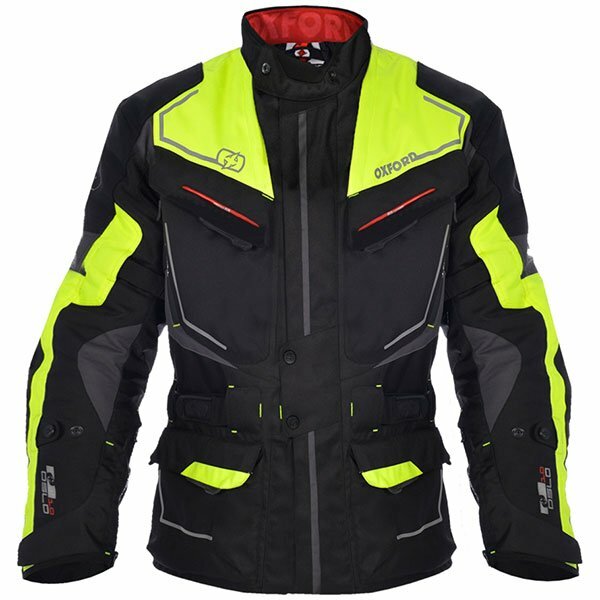 When I received it the next day in NI (great Sportsbikeshop and DPD service) I was really impressed with the fluorescent markings and pockets/neck warmer. Do order a size up from your usual as with the liner it is tight fitting. Kept me warm with very low temperature, dry and perfect for winter. Fits very well. Can't tell yet regarding summer. I was swithering over which jacket to go for then this came on at £99 and I went for it, and a pair of Montreal 2.0 trousers. Just brilliant gear at an amazing price from SBS. The jacket is heavy, sure, but has a great winter liner, stacks of vents, is long, with short & long zips (I use the braces on the trousers so don't use the zips), loads of pockets, effective (if slightly fiddly) removable neck warmer, lots of adjustment, good protection, and is of really very good quality. Unbelievable for the price. As someone else said, the photos don't do it justice. I've only had it out in (very) heavy rain once, but came back bone dry and toasty. Totally recommended. And of course all with the unsurpassed service from SBS - the best online shop bar none in the UK. I'm returning to motorcycling and this is my first textile jacket. Yes I like it. Seems well made. Seems heavy but they probably all do.Water proof for a couple of hours. Not sure about liner might be better with a fleece instead. Fantastic jacket, very good value for what your getting. Very warm, fits me perfectly,plenty of adjusters to tailor it for yourself. Oxford make some cracking motorcycle clothes. Quick delivery, what more can you ask for.!! First class service from sportsbikeshop and a fantastic jacket - just can not be faulted at all. Wind and waterproof, super warm on cold days and strips down for warmer days riding. 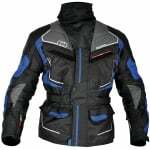 Jacket fit and size is excellent and it has brilliant vents for the warmer months. Lining is also removable and jacket has the standard elbow and shoulder protective pads plas back protector. Removable rain/storm collar works very well and I have used the jacket in heavy rain with no leaks whatsoever. Very happy customer! Not my first Oxford jacket, however this one is a real step up in technical quality. Used on the coldest days of the year without any issues or complaints. The usual Oxford good fit, the quality back protector is a welcome addition. Quality made bike jacket by Oxford, great price. Really comfortable, comes with removable neck warmer, plenty of pockets. Nice colour, I went for the Grey/Blue. Reflective strips are well placed and the shoulder, back and elbow armour are all included, recommend. Have to say this jacket is amazing. Do a 60 mile round trip commute and have been in all weathers, tonight was driving snow and completely dry. Even the best can't keep you totally warm for ever, but it's much better than my previous jacket. Recommend without any problem. Very well made jacket, really good fit and good features i.e. vented sleeves etc. Once again great service from SPBS with fast delivery. Thanks guys. First Oxford jacket I have owned and is great, very warm on coldest of mornings and very comfortable. Not used in heavy rain yet but sure in will live up to expectations. Really easy to get gloves inside cuffs. Only one minor grip, cuffs on liner seem short and tight around wrists but getting use to them. Great value at £99 as well.Thanks SportsBikeShop. Very good quality and very warm. The storm collar is something I have not had on a jacket before and seems a good feature. It is quite a heavy jacket. Really nice bit of kit! Bought it to use on the winter in Portugal, I can even use just a t-shirt and the jacket and I'm still warm enouth. Great service by sportsbike, I will definitely buy again here.